The movie traces the gold mining activities in Karnataka's Kolar gold mines. K.G.F: Chapter 1, which is a movie based on the Kolar Gold Fields, finally hit screens on December 21 after months of promotions. 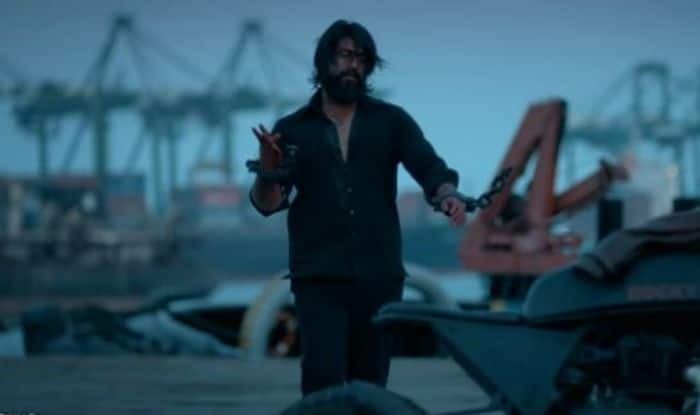 The movie, starring Kannada actor Yash and Srinidhi Shetty in the lead roles, was met with mixed reviews from moviegoers, with most of them being positive. The film was written and directed by Prashanth Neel and produced by Vijay Kiragandur under the banner Hombale films, and is the first installment of a two-part series. The movie, which has been dubbed into Hindi, Tamil, Telugu, and Malayalam, is set in the backdrop of the late 70s and early 80s, and traces the gold mining activities when the mafia was running the operations in Karnataka’s Kolar region. Film trade analyst Taran Adarsh had tweeted out the number of screens the movie was released on as, Hindi 1500, Kannada 400, Telugu 400, Tamil 100, Malayalam 60. Bringing the total to 2460 screens. Upon its release, it received a good number of reviews with most leaning towards it being entertaining in the first half. #KGF is a Cinematic Wonder?? Take a Bow @prashanth_neel ???? as an Angry Young Man.Blockbuster Success Guaranteed. Apart from Yash and Srinidhi, some of the Kannada actors include Achyuth Kumar, Vasishta N Simha and B Suresha. The budget for the film has been put at Rs 80 crore and the background score and all other songs have been composed by Ravi Basrur.